Camping with the kids is always a good idea. And if you take a gaggle of other mums and their offspring the idea just gets better. So, for the fifth year running some ladies I've known since my very first ante-natal class and I, gathered up our children and headed off to mark the end of the summer hols with a mass camping trip. This year would be our second at Inwood Camping in Farleigh Wallop (near Basingstoke). The site combines grassy meadows and mixed woodlands, and you can choose to pitch in large open spaces or within the woods themselves, arranging your tents as you please. This freedom from many of the rules typically associated with campsites that use marked pitches and don't allow the flexibility large groups often need, is one of the reasons we returned. That and the fact you can have real campfires to toast your marshmallows on (you can hire a special grill for a decent BBQ from the site, and you can buy the wood you'll need for the fire). Us mummies get to chop the firewood and build the fire while the kids gather a bit of kindling. The kids love having the freedom to explore the woods, building dens and playing make believe. There's many a thing to discover as you walk about the country estate - from wildlife, to the camps of previous kiddies visiting, to a few follies and a gentleman on a fine-looking mount. The mums meanwhile appreciate the fresh air, catching up with friends (and actually finishing a sentence for the first time in five weeks) and the chance to let the kids off the leash in a safe environment. Put simply it's a lovely, stress-free end to the summer. Do you camp with your kids? And have you been with a big bunch of friends? What do you love about time spent in a tent - and what do you hate? Please share your thoughts and any recommendations in the comment box below. We adore camping as a family. We have been going camping since my daughter was a baby. 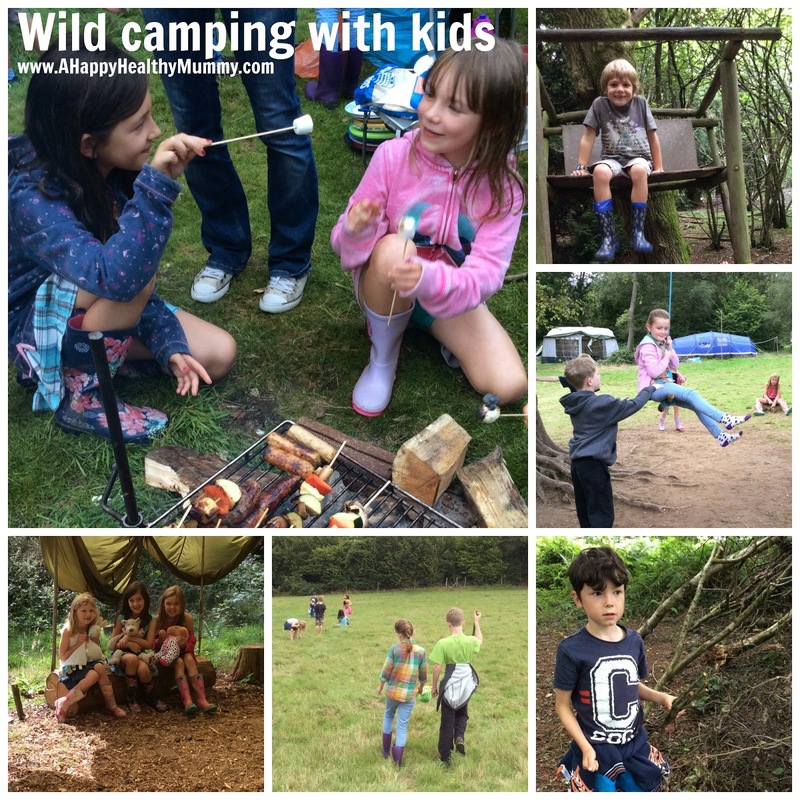 Its a great way of children experiencing the outdoors and is just one big adventure! I love sleeping in a tent when its raining and your all snuggled in your sleeping bag, but then love the crisp early mornings enjoying a hot mug of coffee. Camping can be so much fun and allows children the chance of freedom in a safe and fun environment. Such a lovely post and I'm glad I clicked on. 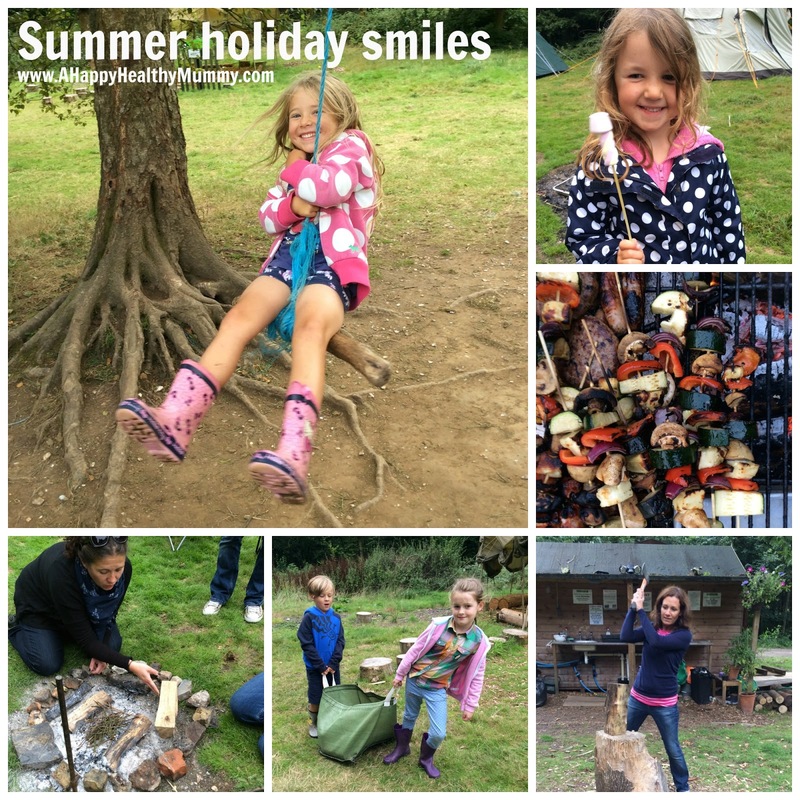 I have posted a few of our camping adventures on my blog, would love for you to have a look. My youngest daughter once said the best thing about camping was waking up and being able to hear the birds. I was gobsmacked a child could be so aware of nature! This looks like great fun and a brilliant way to spend the end of the summer holidays. Fresh air and children is always a good combination! Yes, it's a lovely tradition we have created. And I can't believe the weather held! Looks like great fun for the kids, and a brilliant chance to catch up with friends. It's great to see the smiling faces of all the kids as they toast their marshmallows and play on the swings! Thanks for joining in with Country Kids. So nice to know the kids are happily playing 'free range' - and let's you relax and get a decent natter on the go!